Azalea Wonderland Near the Beach! Every new spring is an adventure for those of us who love nature’s beauty. After a string of brutal winters we have been conditioned to expect merely an average, recovery type spring. This winter was relatively mild and wet. The daffodils and camellias, floral harbingers of spring, are providing a tantalizing preview of what is coming. This spring is already looking spectacular by most measures. The azaleas are just beginning to bloom. 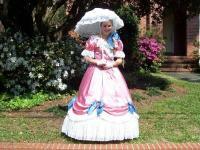 We are going to have a special magical North Carolina Azalea Festival (April 6-10, 2016) this year. The best festivals have always been occasioned by simultaneous blooms from the many ornamentals of this old city filled with gardeners. Stunning, multi-colored masses of azalea blooms will be accompanied by lavender wisteria, white and pink dogwoods, white Bradford Pears, and fuchsia flowering crab apples to create a very rare combination. We will be experiencing a wonderland straight from the imagination of one of our beautiful Cape Fear Garden Club Azalea Belles! 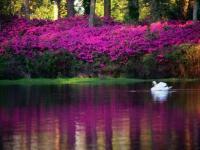 The stars of the festival are, of course, the azaleas that decorate almost every corner of southeastern North Carolina. There are so many different varieties of these easy-growing woody ornamentals that it can be mind blowing. With thousands of gardeners planting many different varieties available through several decades…well, you can imagine the chaotic but beautiful mess we’ve made of the area. 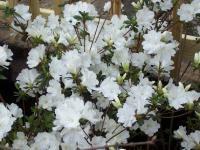 Top it off with the knowledge that azaleas are fairly long-lived and you will understand what will be happening very soon! Don’t fret! The visual overload of color this year will not detract from our many other activities. 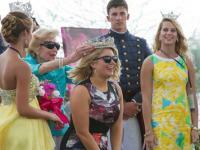 This year’s NC Azalea Festival will certainly have all the great regular features we’ve come to enjoy. Of course there will be the downtown parade, the special artistic performers, the lively nightlife, unique plant sales by various garden organizations, and the special festival events honoring the many dignitaries. 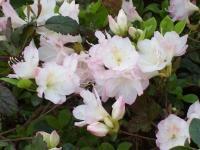 Topping the dignitaries will be the Queen Azalea and her court. 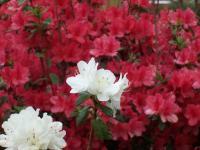 One of our annual favorites will be the awesome Cape Fear Garden Club’s wonderful Azalea Garden Tour (April 8-10, 2016). Walking through the many top-notch gardens is both visually stimulating and awe inspiring. It never fails to offer good ideas to those of us seeking new ideas. After a full day of walking through the best gardens in the city what else is left? There are many restful diversions in a city largely surrounded by fresh and salt waters. A highly recommended favorite is a visit to any of our many seafood restaurants near the Cape Fear River or Atlantic Beaches. The fresh seafood includes shrimp, crabs, oysters, and many varieties of fish. Some eateries have structured entertainment by talented performers. Other restaurants provide their entertainment with spectacular views of the water. Regardless of which features you choose the food is delicious and the brews are cold. For those who invest more than one day at the festival there are opportunities to visit the many indoor and outdoor shopping malls, the North Carolina Aquarium, the world-class Airlie Gardens, our county Arboretum, Greenfield Lake Park, or just take a quiet night walk along a peaceful beach. There is something spiritually comforting about taking time out to feel the sand between your toes. You can also take a horse-drawn carriage tour of Wilmington&apos;s Historic district. And if you are looking for something else to enjoy then you can check with the local visitor’s bureau or download a free Official Visitors Guide. You won’t regret seeing spring come in with us! Cheryl Hunter is an active member and leader in the Cape Fear Garden Club. 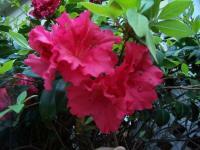 Cheryl’s husband Matt is a local gardener and speaker on various azalea and camellia topics. They live happily with their “Little Belle” Barbara Grace here in Wilmington, North Carolina. 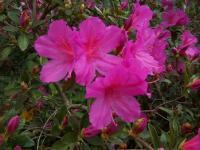 To learn more about azaleas, you can visit the Azalea Society of America.